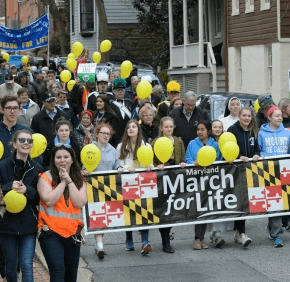 ANNAPOLIS – Despite a postponement and opening day for both the Baltimore Orioles and Washington Nationals, pro-life supporters arrived in throngs to participate in the 39th annual Maryland March for Life March 3, streaming by the hundreds through the streets of the state capital. The march was originally scheduled for March 13, but a snowstorm postponed it. The rescheduled event included speaker David Bereit, founder and former CEO of 40 Days for Life, an organization and movement dedicated to ending abortion that began in Texas and has since expanded internationally. Bereit, a trim man in a tailored suit and cosmopolitan eyeglasses, observed that Maryland’s legislative climate is “very hostile” toward protecting the unborn, but its pro-life citizens are proportionally joyful and dedicated. Many marchers have been standing up for a long time. “It has led us to many issues, including physician-assisted suicide,” Stefano said, referencing repeated legislative efforts to bring the practice to Maryland. For the third straight year, the End-of-Life Option Act, which would allow doctors to prescribe lethal medication to patients facing a diagnosis likely to be terminal in six months or less, failed to advance, but supporters have said they are not giving up. Hers is fed, she said, by an increasing number of young people who value life and speak up for it. LeMonnier was one of 11 students from the all-girls school who attended the march together; others came individually or with their parishes. 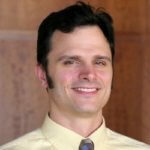 Bereit noted that the pro-life movement has gained momentum , with new pro-life laws established in the last two years exceeding the total from the previous 20 years, he said. “We have to remember, though, as long as one child is at risk – as long as one woman is at risk – we have a lot of work to do,” he said. “They already know it’s a baby (growing in the mother) because of the babies I had,” she said. “Yeah, I could feel Rachel’s feet in your tummy,” said her daughter, Alexandra, smiling at her younger sister. To see or purchase more photos from the Maryland March for Life , visit our Smugmug page here.